There is no denying that musical biopics are making a comeback. With the success of ‘Bohemian Rhapsody’, and the upcoming ‘Rocketman’ set to hit theaters this summer. 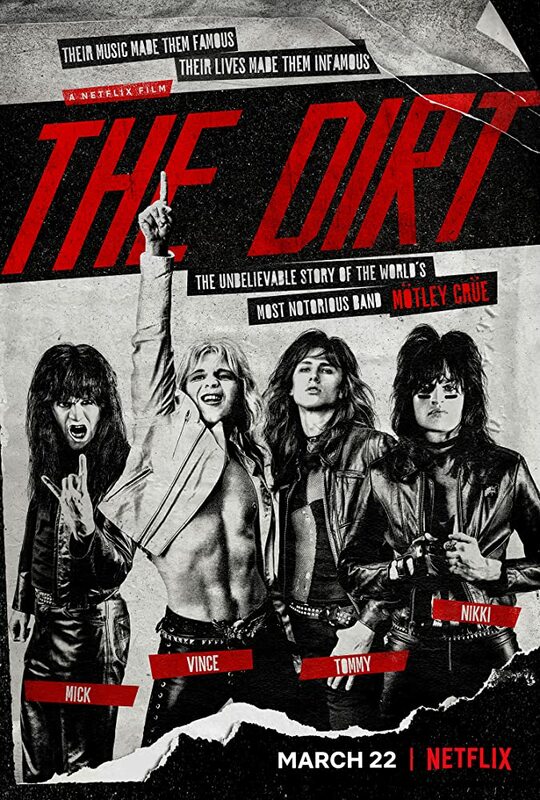 It is even more prevalent with the new Netflix film, ‘The Dirt’, which is based on the best-selling autobiographical novel of nearly the same name (subtitled ‘Confessions of the World’s Most Notorious Rock Band’) by the members of Mötley Crüe, consisting of Tommy Lee, Mick Mars, Vince Neil and Nikki Sixx. You would expect the story of one of the most controversial hard rock bands of the 80’s to be fodder for a documentary about the band itself (which was what I expected at first), yet screenwriter Rich Wilkes, and director Jeff Tremaine could not help but ride off the success of ‘Bohemian Rhapsody’. 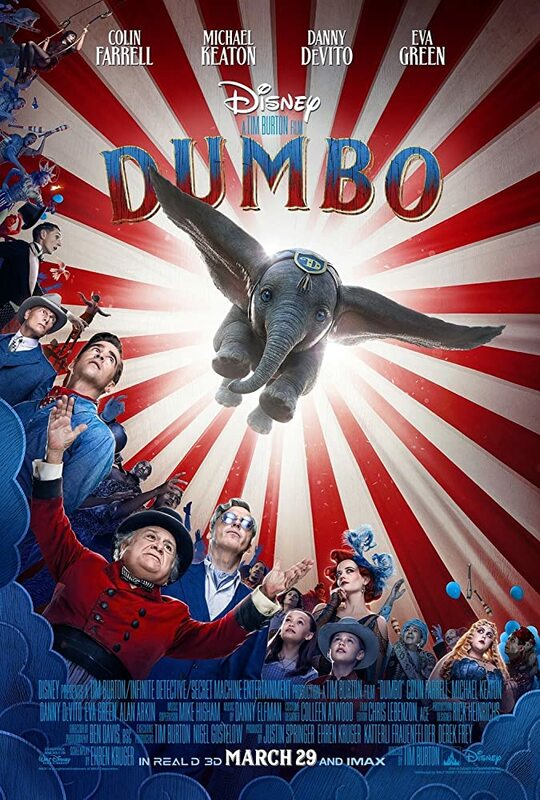 When it comes to remaking a Disney classic such as 1941’s ‘Dumbo’, extra care should be taken to ensure that its touching story of a baby misfit elephant with huge ears never loses its charm or heart. 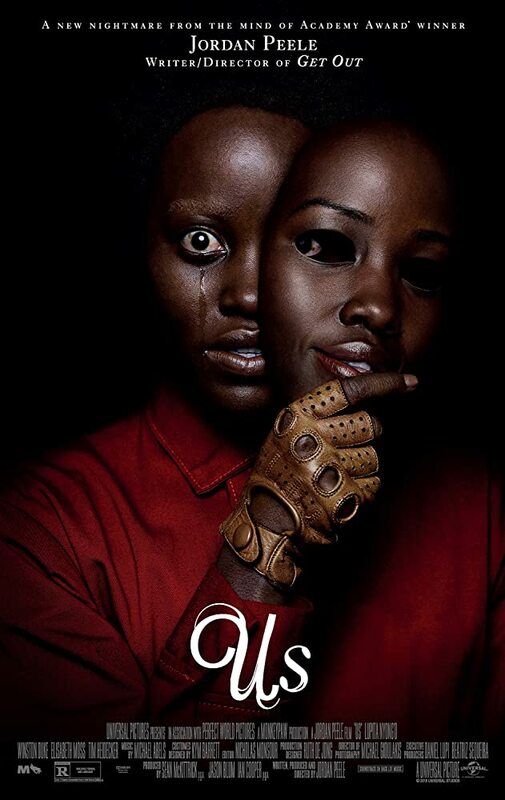 Never have I expected Tim Burton to take on the task, especially since he has had bad luck with remaking certain movies (‘Planet of the Apes’, ‘Alice in Wonderland’). The task of making this animated classic live-action fare seemed like a hit-or-miss, yet Burton is known for adding whimsy to his work, which his most recent remake is full of. Needless to say, I was touched, amazed, awe-inspired, and even teary-eyed. If you were to ask me who my favorite film director was, I would have to be honest and tell you without a doubt: Tim Burton! There is something about his style that I truly appreciate when it comes to his films; whether it would be his off-the-wall premises, eccentric characters, whimsical scores, or gothic fairy-tale designs, Burton is a filmmaker unlike any other, and I am here to talk about my ten favorite films he has done in honor of the release of Burton’s live-action retelling of ‘Dumbo’! Five years after ‘The Lego Movie’ became a cultural phenomenon, ‘The Lego Movie 2: The Second Part’ manages to show us that everything is still awesome, though not quite, since everything has literally become an apocalyptic wasteland, straight from a ‘Mad Max’ movie, but in terms of entertainment, it can be fun. 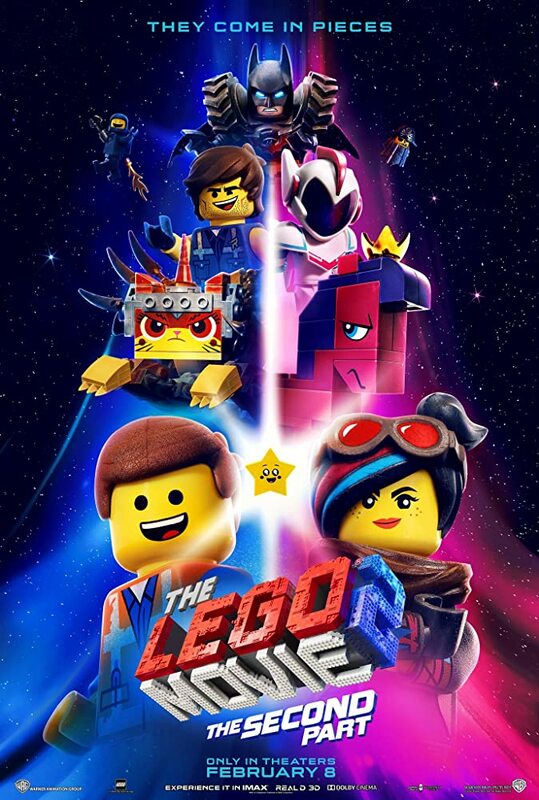 ‘The Second Part’ picks up immediately after the first ‘Lego Movie’ left off, where Emmett (Voice of Chris Pratt) and his friends find their world invaded by Duplo bricks. Of course, if anyone can remember, the events of ‘The Lego Movie’ were revealed to be conjured up in the head of a young boy named Finn (Jadon Sand, who reprises his role), who was playing with his busy dad’s Lego bricks. While that film had an ambiguity on whether the world of Lego was real or just a metaphor about family bonding, ‘The Second Part’ proves to be nothing more than a story about sibling rivalry and growing up. 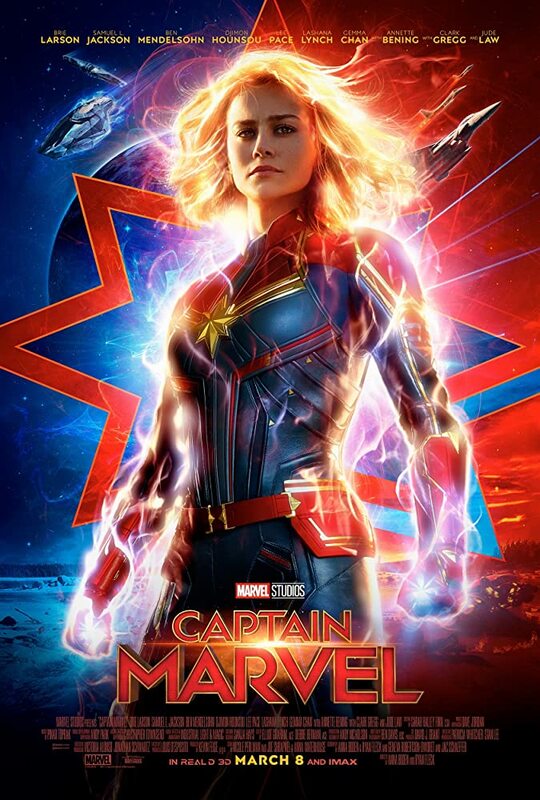 As of late, Marvel Studios’ newest installment ‘Captain Marvel’ has been the subject of political discussion and controversy. 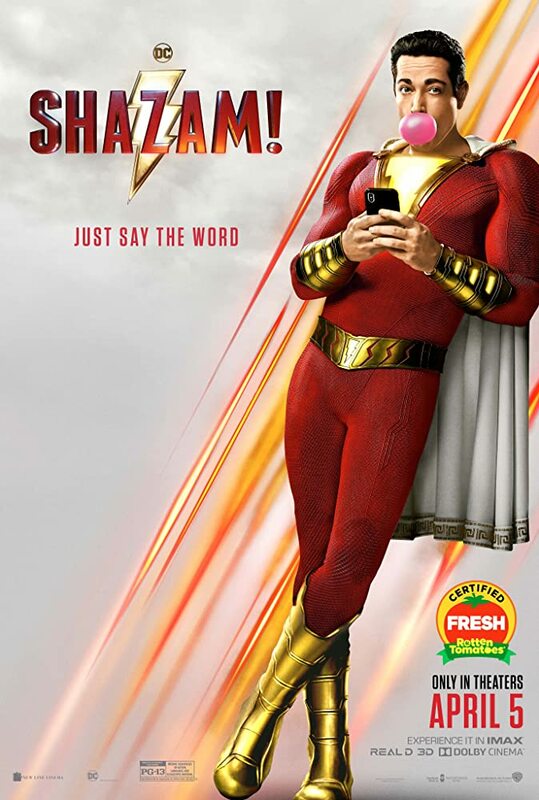 Most of the haters who do not tolerate what star Brie Larson had to say (if she said it) took to Rotten Tomatoes to bash the film, mere weeks before it came out. Yet, it has not stopped the film from being a cultural and financial phenomenon, becoming one of the highest-grossing female-led movies of all time; grossing close to $400 million worldwide, and showing no signs of stopping. The funny thing about art is how people can have many different interpretations of what it means to them; this could also apply to film, with it being an art form itself. Basically, the world is made of opinions; some good, some bad. 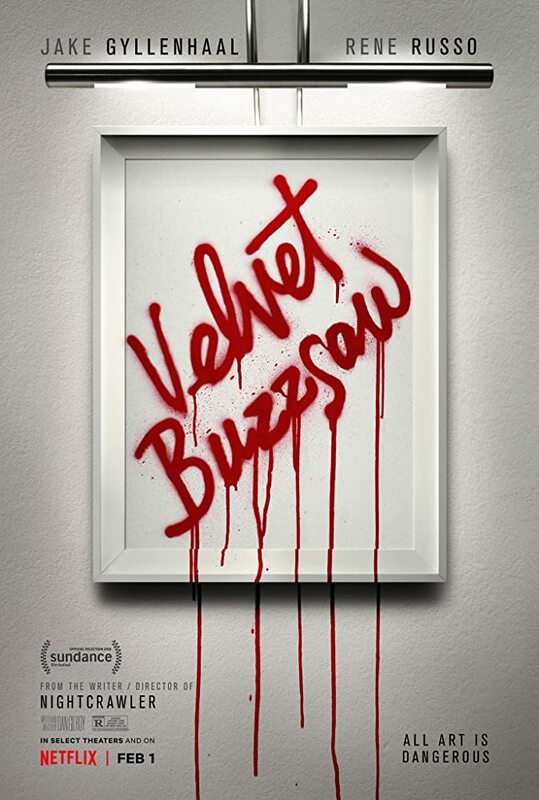 In the case of ‘Velvet Buzzsaw’, from writer/director Dan Gilroy of ‘Nightcrawler’, appearances can be deceiving. Based on the trailer, one would expect a supernatural horror film about a series of haunted paintings made by a mysterious artist that died too soon, but after watching the film, they will see a commentary about what it means to be a critic and how it affects others; while this could be seen as thought-provoking and meaningful to some, I managed to see it as nothing more than a deceptive illusion. 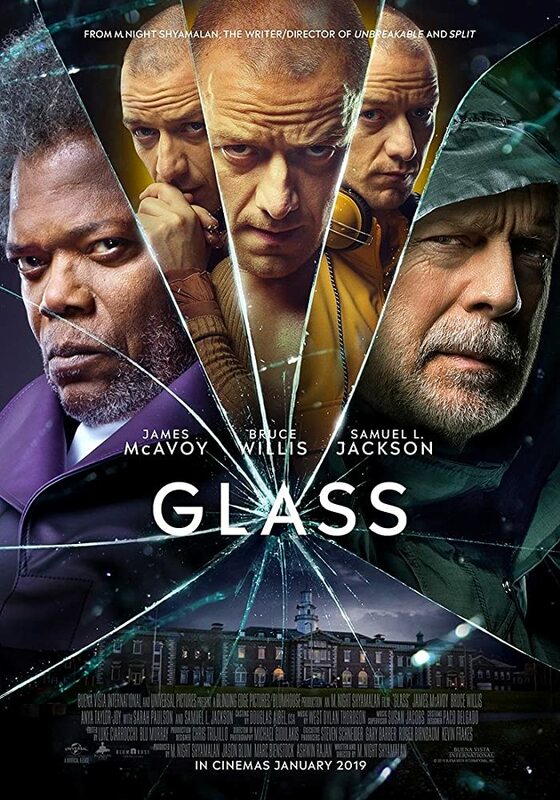 M. Night Shyamalan’s superhero trilogy is complete with ‘Glass’; a sequel/crossover that combines elements of ‘Unbreakable’ and ‘Split’. When audiences first saw ‘Split’ back in January of 2017, they were shocked to learn that *SPOILER ALERT* it was a secret sequel to ‘Unbreakable’ with a cameo by Bruce Willis’ David Dunn showing up at the end. *SPOILER END* Who knew that Shyamalan was planning this universe all along? With the rise of extended film universes, such as Marvel and DC making bank, it seems plausible for this once acclaimed director to follow suit.